I wish to set up the option that people can purchase predefined tickets for a Gala ($250 or $175), and/or can make a donation (any amount). So there would be three spots - $250 ticket, $175 ticket plus an optional donation, where they can enter any amount. Cannot find any information to explain how to do this. The last option of donations, I'd like it to be a box where a person can fill in the amount. You would need to collect all of them as a donation into Form Calculation widget and then transfer the amount to the payment processing widget. In my sample I used PayPal. 2. Set it all up by yourself. To set it up, I have added 1 radio button field, 1 added Form Calculation widget and added the PayPal processing tool. Now, click on radio button and add new options through the toolbar's Options button and click on little green OK once you add them all. What we do here is that we set only first 2 of them and click on the Allow other button in the same toolbar to allow the 3rd custom entry to be added. 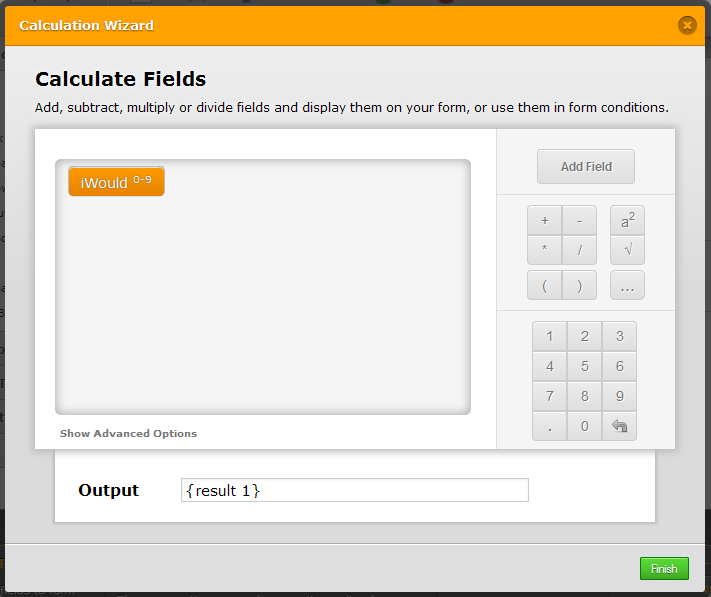 Once we have this done, we need to add the calculation values and change the text of the other field. 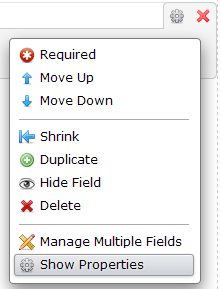 To change it right click on the radio field and select Show Properties. You can set it to any text that you prefer. Now once you have done that we need to change what the Form Calculation widget is going to get and we do that by capturing the value of the radio button. Thanks for your response, but that form you provided will not really work for our purposes. 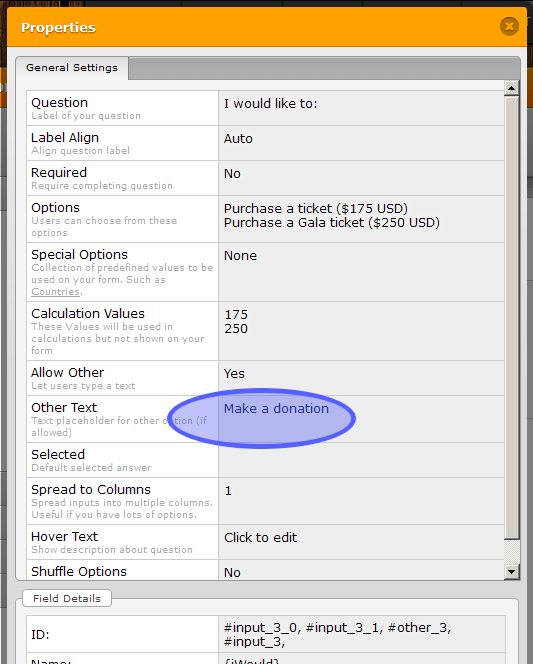 I would like the last option "Donation" to be a box that the customer can fill in with their own amount. How can I do this? and make a radio button option as shown above to allow your user to choose which option they want and then capture its value through Form Calculation, which would send it to the payment processing widget. It is the same as the steps above for the 2nd option, only that you have different fields and labels and you would need to remove the products.